Despite what appears to be good news that North Korea leader Kim Jong Un is eager to hold a bilateral summit with Japan, the administration of Prime Minister Shinzo Abe remains cautious, saying there are many hurdles to be overcome. 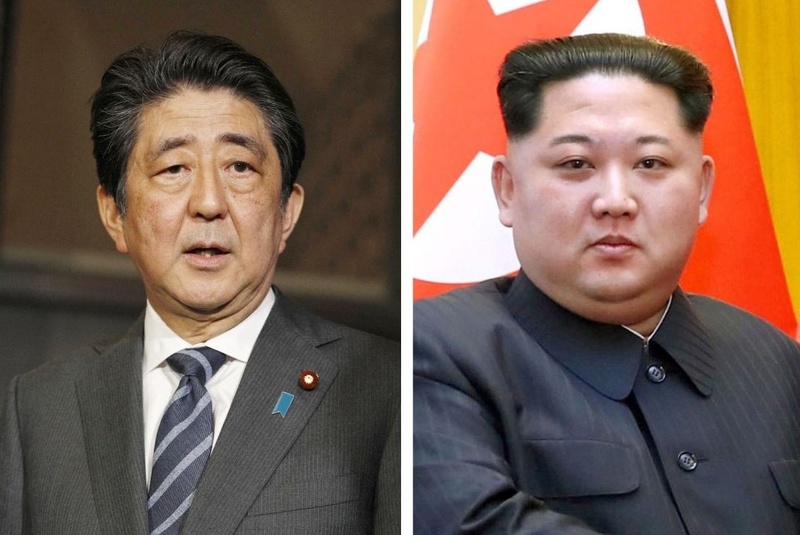 Since Abe has said there needs to be progress on the issue of Japanese nationals abducted decades ago by North Korean agents, he cannot simply meet with Kim without any guarantee that the summit will bear fruit. “If we agree to a summit with no prerequisites (on the abduction issue), they will ignore it and instead demand compensation over past history,” a senior official at the Prime Minister’s Office said. The government, mainly the Foreign Ministry, is now secretly debating what kind of progress will need to be in place in order to hold a summit with North Korea. One idea is for Pyongyang to confirm the 2014 bilateral agreement, which stipulates that North Korea will investigate the issue of abductees, something which it did begin but which it abruptly stopped after Japan imposed unilateral sanctions in 2016 following a series of nuclear tests by the North. But with diplomatic channels effectively frozen, there is no way Japan can verify what Kim really has in mind. “There’s nothing we can do until after the summit between the U.S. and North Korea is over,” said another Foreign Ministry official. There’s also a growing skepticism against South Korean President Moon Jae-in and his government. When Moon told Abe in a telephone call Sunday that Kim is ready to hold bilateral talks with Tokyo, Abe refrained from disclosing the information because Tokyo is unable to independently verify Kim’s remark. 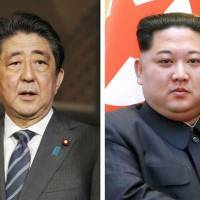 The Abe administration had apparently intended to keep it a secret until the summit between U.S. President Donald Trump and Kim, when it will get more information about what Kim has in mind. But moments later, news emerged that the South Korean presidential Blue House publicly disclosed Kim’s remark — something Tokyo was not anticipating. “I didn’t know that South Korea would release the information,” said a senior Foreign Ministry official. “It’s meant to draw attention at home and abroad,” said the senior official at the Prime Minister’s Office. Infuriated, Tokyo is expected to ask Seoul why the information was released. Still, many officials in the Abe administration see Kim’s apparent intent to mend ties with Japan as a result of Abe’s policy of putting pressure on the reclusive state. “If the South Korean explanation is true, it may mean that Japan-led efforts to put international pressure on North Korea bore fruit, prompting Mr. Kim to offer dialogue” with Japan, a senior government official said on condition of anonymity. On Thursday, Abe also told a Lower House budget committee session that the planned summit between Kim and U.S. President Donald Trump is a result of cooperation between Japan, the U.S. and South Korea along with China and Russia to put “maximum pressure” on North Korea. But, with no way of knowing what Kim’s real intentions really are, Tokyo is erring on the side of caution rather than being too optimistic.